How Far is Hill County? Hills County is a residential enclave of trendsetting apartments in Nizampet, Hyderabad. It is an abode of modish apartments which is thoughtfully developed by the renowned real estate company in Hyderabad, Hill County Properties. It offers apartments in a fair market price and ensures you a comfortable and hassle free lifestyle. 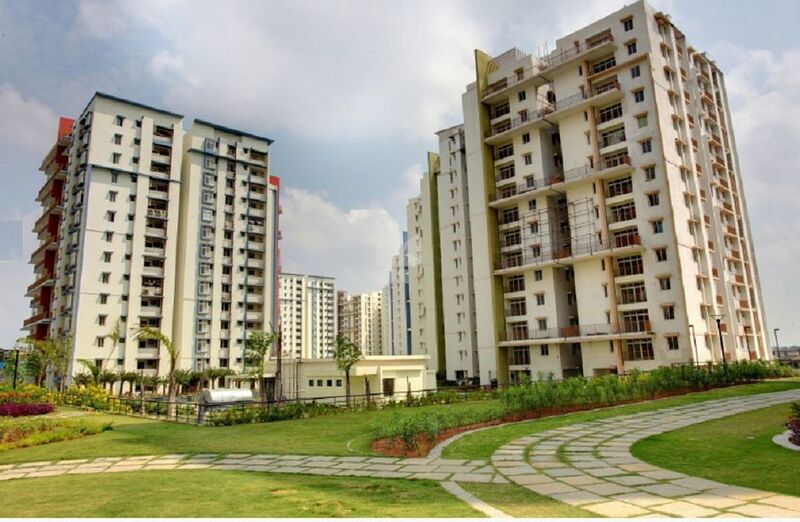 These apartments in Hyderabad are combined with modern amenities and lavish designs. The project offers lavishly designed 4BHK apartments for sale, which are well-ventilated and have ample natural light. The apartments are thoughtfully crafted keeping you in mind, to provide you with a house which is according to your needs and preferences. It has a perfect combination of elegant interiors and exteriors and is suitable for a comfortable premium lifestyle. Hill County offers you apartments which are ideal for home seekers who seek more than just living. These homes are sure to elevate your standard of living and keep you refreshed all day. It has easy access to the schools, hospitals, and transport facilities with many shopping centers in the vicinity. It offers you an array of amenities such as a sewage treatment plant, jogging track, business center, gym and a swimming pool. Be a part of Hill County and bring happiness to you and your family. Earthquake resistant RCC Frame work in accordance with IS: 456:2000 & 1893:2002. 200 mm thick External Walls and 100mm thick Internal Walls with Light Weight Cement Concrete Blocks.. Smooth plastered surface treated with luppam/putty and painted with acrylic emulsion of approved color and brand. Sand stone / Slate stone cladding & Texture Paint at Designated Areas. Hard Wood Flooring and Skirting -Master Bed Room in Type 1 and Type 2 and Family Room Area in Type 1. 2’X2’ Vitrified Ceramic Tile Flooring in Drawing / Living / Dining / Kitchen / Other Bed Rooms with skirting. Anti Skid Ceramic Tile flooring in Toilets, Balcony & Utility. Ceramic Tile Dadoing upto Ceiling in Toilets & Utility. Teak wood paneled shutter with teakwood frame finished with melamine polish with good quality hardware with suitable locking arrangement like Lockset or equivalent. 35mm thick One side Veneered & other side painted Flush door Shutters with Teak wood frame fixed with good quality hardware. All Folding / Sliding / openable doors are with powder coated Aluminum Frame with plain float glass panels. All Sliding / Casement windows are with UPVC frame with plain float glass panels. Aesthetically finished modular kitchen with polished granite platform, stainless steel sink, chimney, and hob and storage cabinets. Automatic change over switch between normal and backup power. 100% Backup Power except for AC machines. Flame retardant, low smoke medium duty PVC conduit with Finolex, L& T or equivalent. Modular switches like Legrand, Toyoma or equivalent. RJ45 outlet in Family and all bed rooms for internet connection. RJ11 outlets in Drawing, Living, Kitchen, Family and all Bed rooms for telephone connection. TV out lets in Living, Family and all Bed rooms. Superior quality CPVC piping with special fittings as per relevant IS specifications. Porch and trellis at Ground Floor Level Metal trellis covered with poly carbonate sheet Other Trellis at First Floor level, Terrace and Roof level Reinforced cement concrete finished with sand faced plaster and painted with weather proof Cement paint.